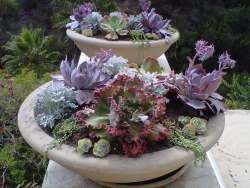 There are lots of interesting containers to plant succulents in but some of the coolest are made of metal - especially if it means recycling old junk into planters to fill with beautiful plants. 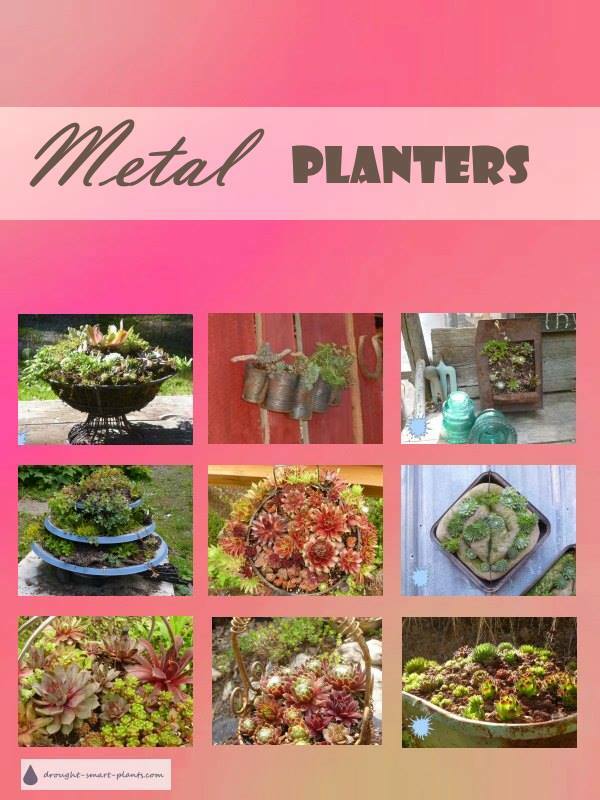 Some Surprising Choices - metal planters range from tin cans salvaged from the recycling, to granite ware pots and pans. There are lots of options - the main thing is they should always have a drainage hole or two. 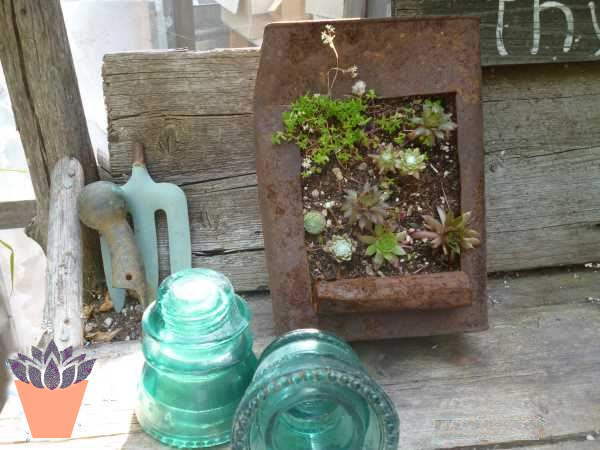 Junk salvaged from the junk pile make the most amazing containers - especially for succulents. 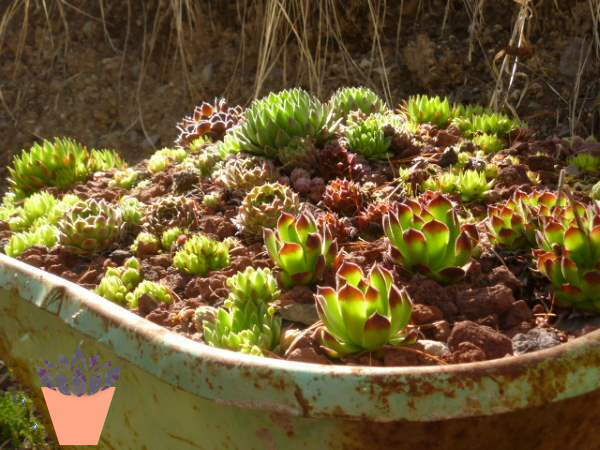 Even though these plants are tough, keep metal containers in a partially shaded area, even succulents can get their roots burned! Be prepared for a little extra maintenance in the way of watering. 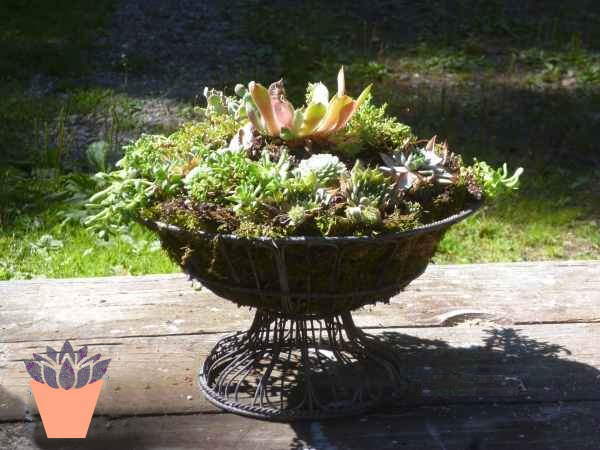 I've got lots of open basket type planters made from wire, lined with moss or some kind of mesh. 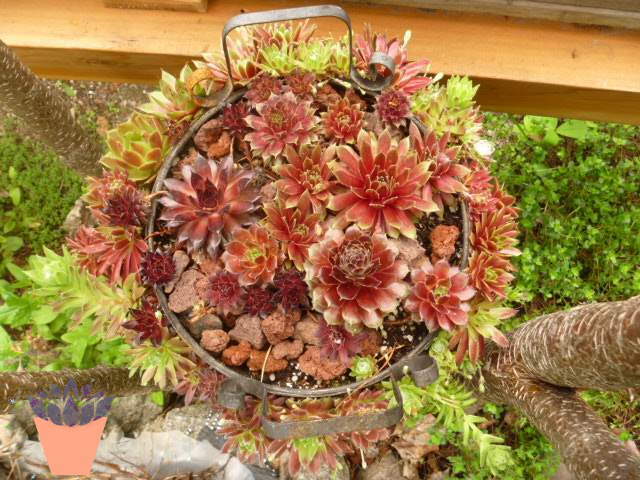 They don't hold any moisture at all, and dunking them in a bucket is the only way to fully wet the soil. These are just some of the many metal planters I've made out of junk and scrounged stuff, or that were shared by visitors and friends. 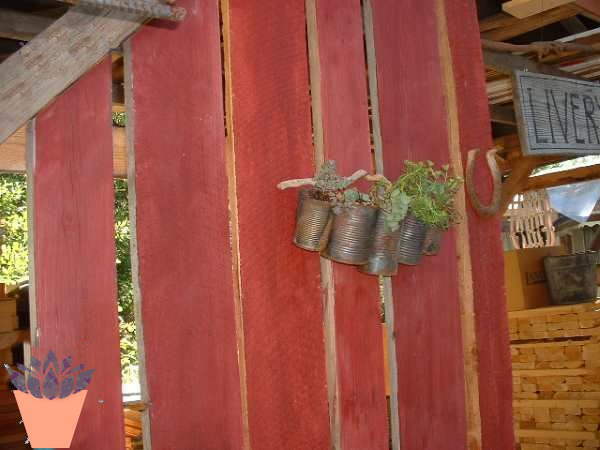 They are some of the most amazing containers - although not all plants will survive in them due to the way they conduct heat and cold, they are easy to refurbish each spring. Sometimes I'm amazed at how well the plants do in them. Oh, yes, by the way - these examples have all been in my garden at one time or another...and shared on various of my websites, if you've seen them before. 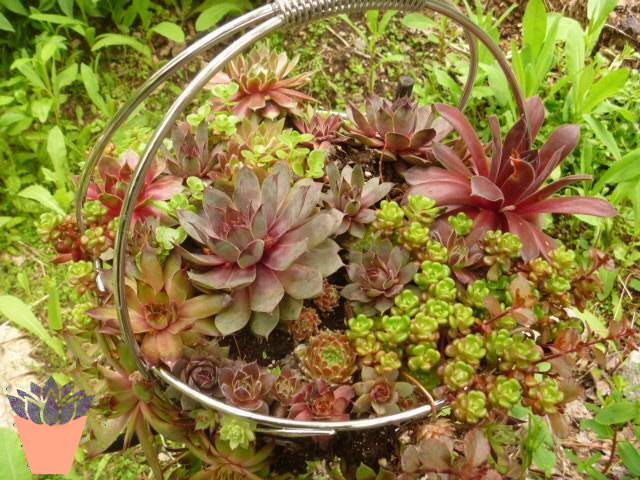 Have you been inspired to try using some metal junk to plant your succulents into? 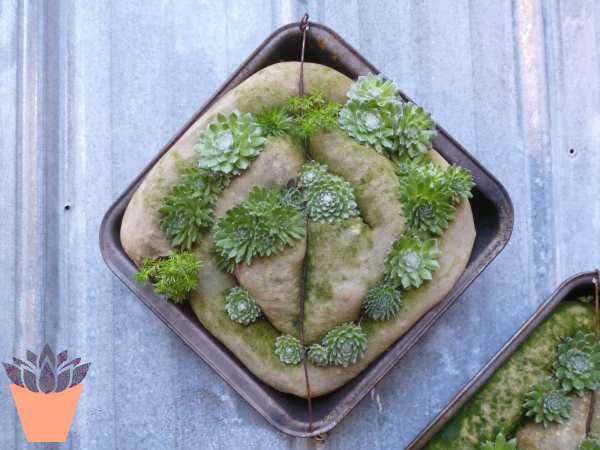 Do You Plant Succulents in Moss or Soil?